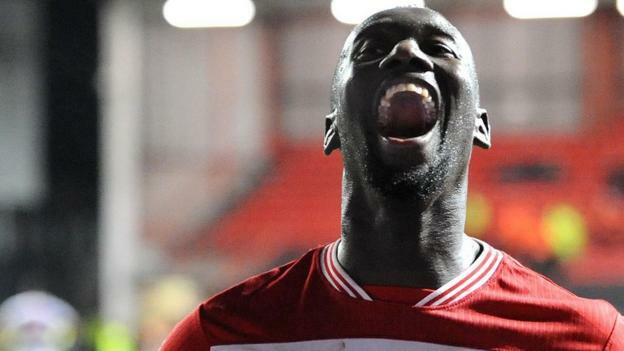 Famara Diedhiou netted a late penalty to earn victory over QPR and extend Bristol City’s winning run in all competitions to nine matches. The Senegal striker converted from the spot in stoppage time after he had been brought down in the area by Darnell Furlong. City old boy Matt Smith had put Rangers ahead just before half-time, tapping into an unguarded net after Nahki Wells headed Luke Freeman’s cross against the post. Niclas Eliasson cut inside to curl in an equaliser for the hosts, and Diedhiou kept a cool head from the spot to move City up to fifth, three points clear of seventh-placed Derby. Smith, who scored 13 goals in 20 appearances during a loan spell with Bristol City during the 2014-15 season, came close with three headed attempts before finally getting the better of Robins goalkeeper Frank Fielding. That was only the second league goal that Lee Johnson’s team have conceded in 2019. QPR, who almost came back from 4-0 down at home to Birmingham on Saturday, then had to withstand heavy pressure to preserve their slender lead. However, Rangers could not hold out and Steve McClaren’s side remain without a Championship victory since 26 December. Both clubs are next in action against Premier League opposition in the FA Cup fifth round, with QPR at home to Watford on Friday and Bristol City hosting Wolves on Sunday. City’s Andreas Weimann is an early doubt to face his former club, after he was withdrawn in the first half with a back injury.